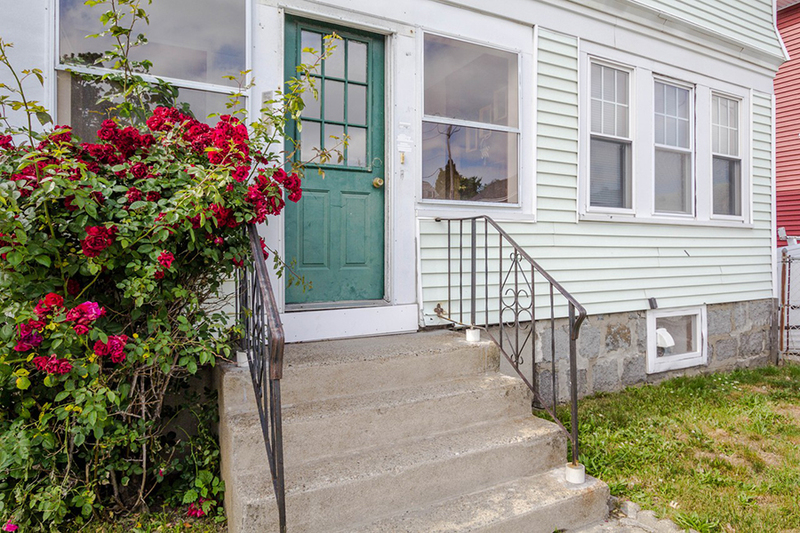 This sizable three-bedroom in Dorchester’s Adams Corner neighborhood is graced with wooden wainscoating, trim, and built-ins. The kitchen, which has been recently updated, offers a full-sized pantry, and adorable backsplash, and washer and dryer hookups. These pet-friendly quarters boast an in-unit stacked washer-dryer, a granite counter-topped kitchen with a dishwasher and garbage disposal, plus an off-street parking spot. Hardwood flooring covers one moderately-sized bedroom and two large rooms with closets—all available October 1st. Whether you fancy yourself a Julia Child or a Gordon Ramsay, this large eat-in kitchen is a renting home cook’s dream. From the abundance of white Shaker cabinets backed by sleek subway tiling to the granite counters, even those averse to cooking will pause before phoning GrubHub. Plenty of windows throughout the unit let in lots of light, including one pink and orange stained glass panel. Situated less than a mile from Jamaica Pond, evening strollers will rejoice–and bikers can stash their wheels in the on-site storage shed. From the bold red carpet that welcomes you in the entry hall, to the royal blue walls of the living and dining rooms, to the creamy white tones that fill the bathroom, the color palette alone is enough to make this apartment stand out. Housed in a two-family building, there is no compromising on space in this roomy unit, which grants access to a private patio and porch. The most affordable of the bunch, this apartment is just over $700 a month when rent is split three ways. The recently renovated digs occupy the first level of a multi-family home. Features such as dark wood cabinetry, hardwood flooring, and recessed lighting throughout the apartment make the space look and feel polished. Situated near several bus lines, you can secure this unit now without a broker fee.